On November 8, 2013, Typhoon Haiyan displaced an estimated 4 million people in the Philippines – more than the number of those displaced by Hurricane Katrina and the Indian Ocean tsunami combined. This posed an unprecedented challenge to the government and relief agencies. As the stream of news about this event fades away from the front page of worldwide media, Global Careers Fairs wishes to continue the initial fundraising effort by launching its own JustGiving page to ensure that the Philippines people are not forgotten. 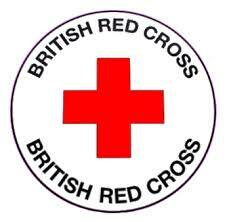 We are currently working closely with two partnered charities, British Red Cross Society and Unicef UK. We all together are making big efforts and working hard to help millions of people worldwide by covering up primary needs. Red Cross staff and volunteers are working tirelessly to help people whose lives have been ripped apart, supplying vital emergency aid such as shelter and clean water. So far, the Red Cross has given out food for more than 450,000 people and reached 19,000 people with hygiene kits to prevent the spread of disease. Unicef have been working around the clock to deliver water, sanitation, and hygiene supplies to families in the affected areas and providing ready to use therapeutic food to treat malnourished children. 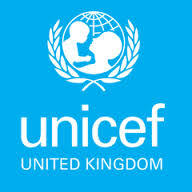 Unicef is also working with the local government to build child friendly spaces to protect children from the increased risk of violence and abuse. If you are at a loss for how much you can donate, some useful benchmarks for you to consider are the equivalent of your next Friday’s post work drinks with mates, or that extra item in the sales (you know the one – the one you just neeeeedddd !). Remember, every little dollar will matter.